Where to start with Amanda and F.O.?? These two met under seemingly cosmic guidance - one year F.O. 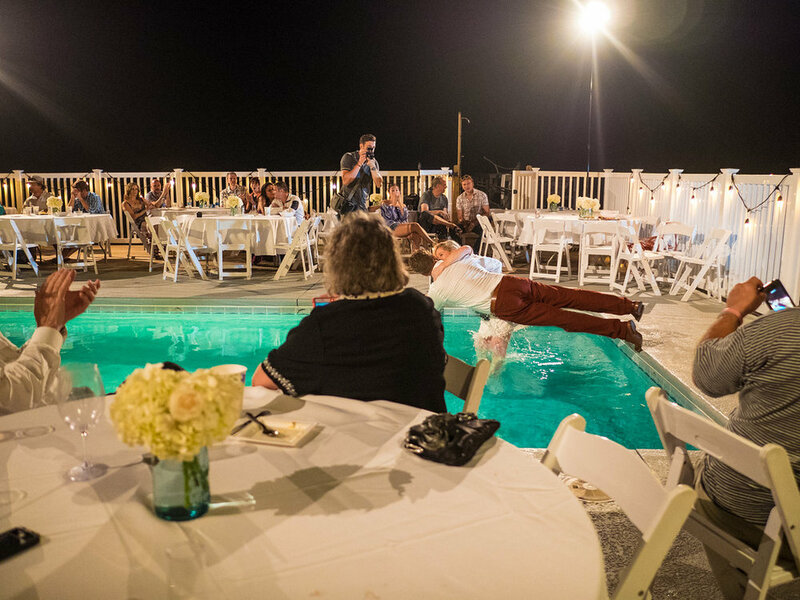 decided to ‘up the ante’ with his annual holiday party and decided to hire an Aerialist to perform as the entertainment, but not just any aerialist, he chose Amanda with Down To Earth Aerials and it was love at first sight! Amanda is a highly trained aerialist in the style of Cirque du Soleil, and F.O. - he’s got a story too - if you’re from the Raleigh area, then you’ve most likely heard of the band, Sidecar Social Club! He is their “Sax Man!” Where one is performing, you’ll likely see the other, as they are truly the most supportive couple and each other’s biggest fans. Now about their wedding! F.O. 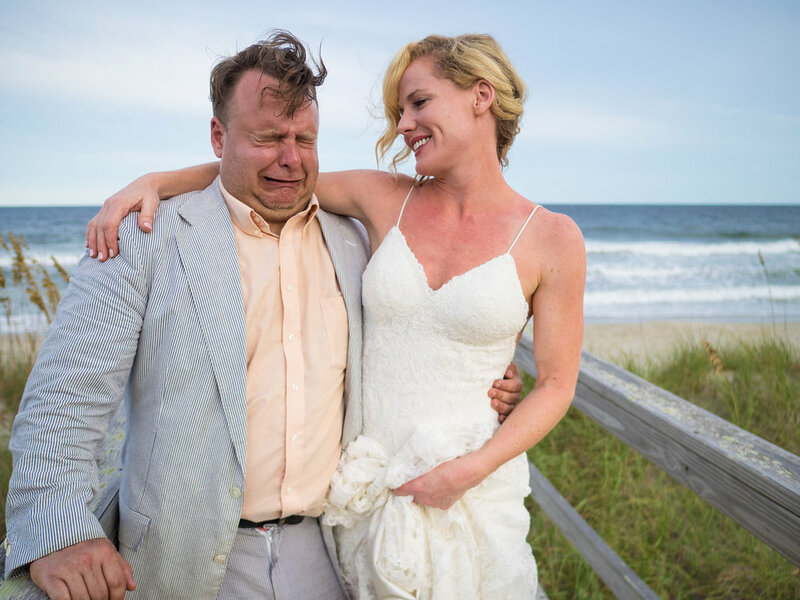 and Amanda wanted a small, intimate beach house wedding at Carolina Beach, NC. 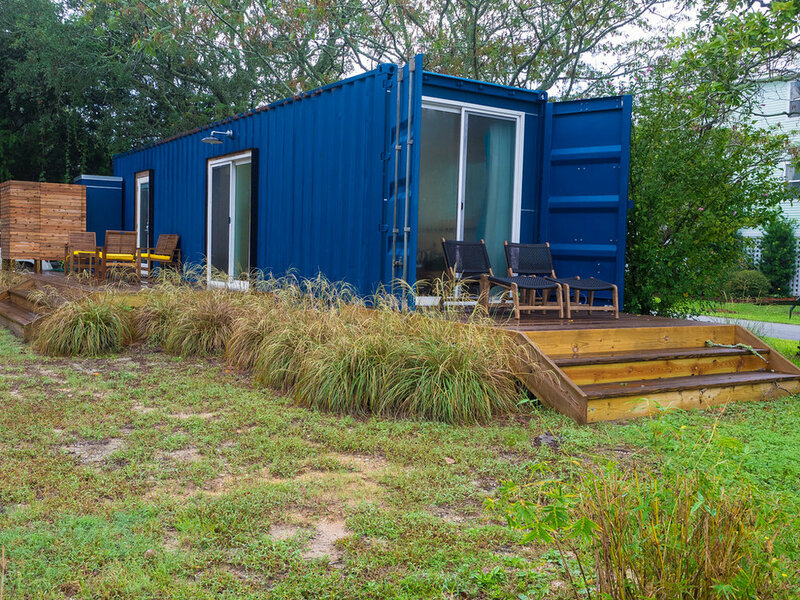 She prepared for her wedding day in a really funky AirBnB hosted tiny house, which was renovated from a shipping container! 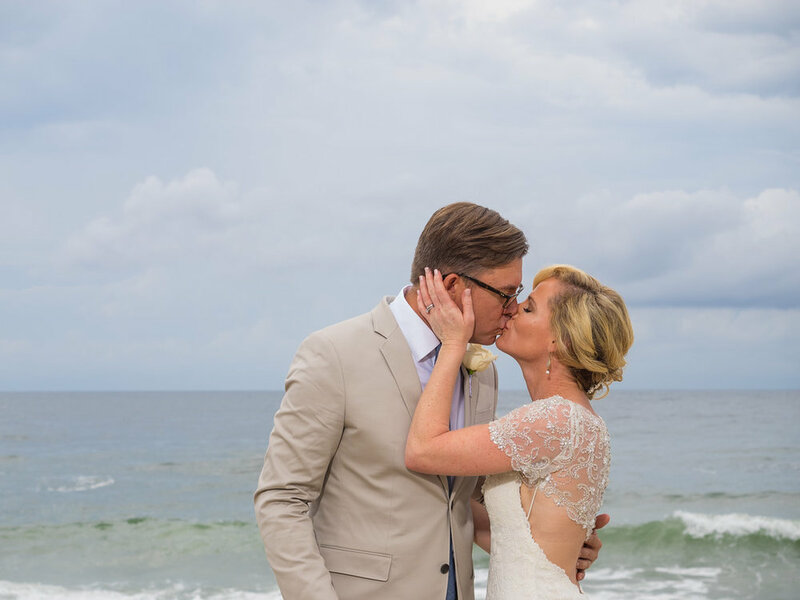 Their wedding day started out with cloudy skies and some rain, but the universe smiled on them again - the rain disappeared and they were gifted with the most gorgeous sunset! They took us in as part of their closest inner circle that day, and their wedding was one of the most genuinely authentic experiences we have had the pleasure of documenting. Enjoy!